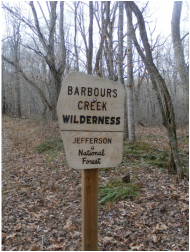 Barbours Creek Wilderness, in western Craig County, was established in 1988. 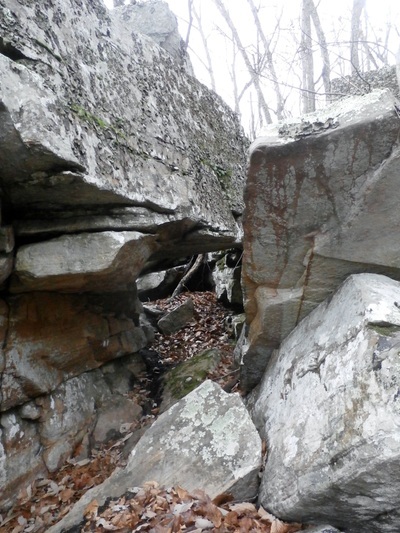 On the eastern slope of Potts Mountain, the Barbours Creek Wilderness protects 5400 acres of the Jefferson National Forest. When combined with the nearby Shawvers Run Wilderness, these two area encompass a total of almost 12,000 acres. The wilderness derives its name from Barbours Creek, which forms almost the entire southeast boundary of the area. 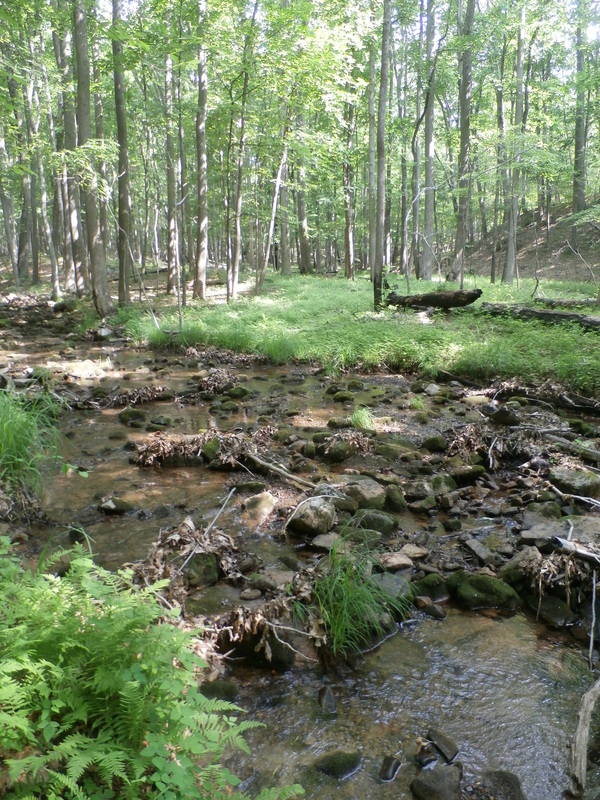 Barbours Creek and several small feeder streams are designated cold water streams by the Virginia Department of Game and Island Fisheries. Barbours Creek is a slow moving stream lined by thickets of rhododendron or a high canopy of cove hardwoods creating a cool, moist environment for an easy stroll. Lipes Branch, another designated cold water stream, is the only major stream that lies within the boundary of Barbours Creek. Lipes Branch starts high on the slope of Potts Mountain and tumbles rapidly over 1000 feet to its confluence with Barbours Creek. There is another interesting, unnamed stream at the far southern end of the wilderness. Confined to a narrow canyon, this streams flows though several unusual rock formations. In the spring of 2012, a huge wildfire erupted in the Barbours Creek Wilderness. Driven by high winds the fire scorched much of the wilderness. Today, Barbours Creek still shows many of the scars created by the fire. Dead snags dominate the canopy in many places. However, only two years later the signs of recovery were everywhere. In places, the ground is covered with thickets of blueberries, blackberries and black raspberries. Each one is a delicious snack that often slows down the pace of a hike. Prolific roots sprout from Mountain Laurel provide excellent ground cover for many wildlife species. Finally, in the understory thickets of Tuliptree, Sassafras, Red Maple and several species of oak and pine are rising up from the ashes of this devastating fire. 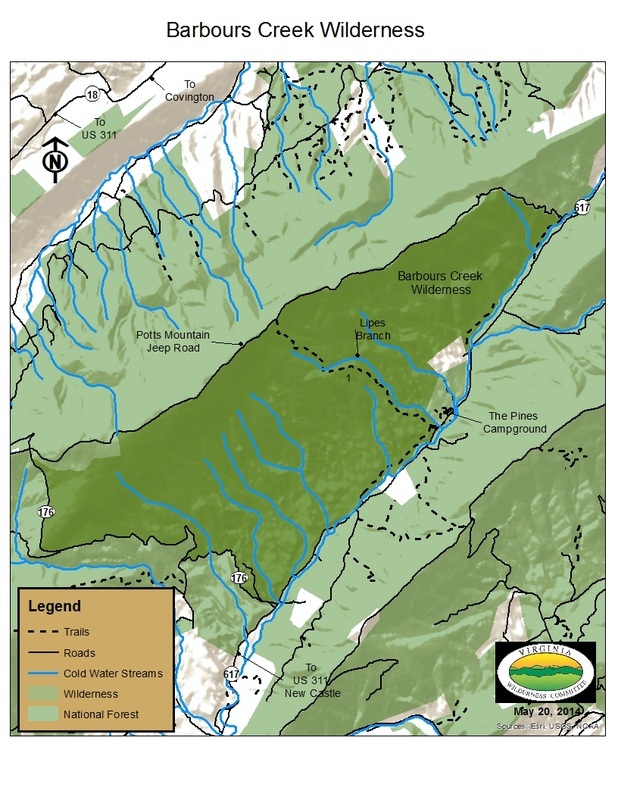 ​There is only one designated trail in Barbours Creek Wilderness. The Lipes Branch Trail (1) climbs from the creek almost 2000 feet to the summit of Potts Mountain. A climb to the summit is worth the effort. After reaching the crest of the ridge a right turn onto the Potts Mountain Jeep Road leads to a grassy bald with a wonderful view of the mountain to the west. 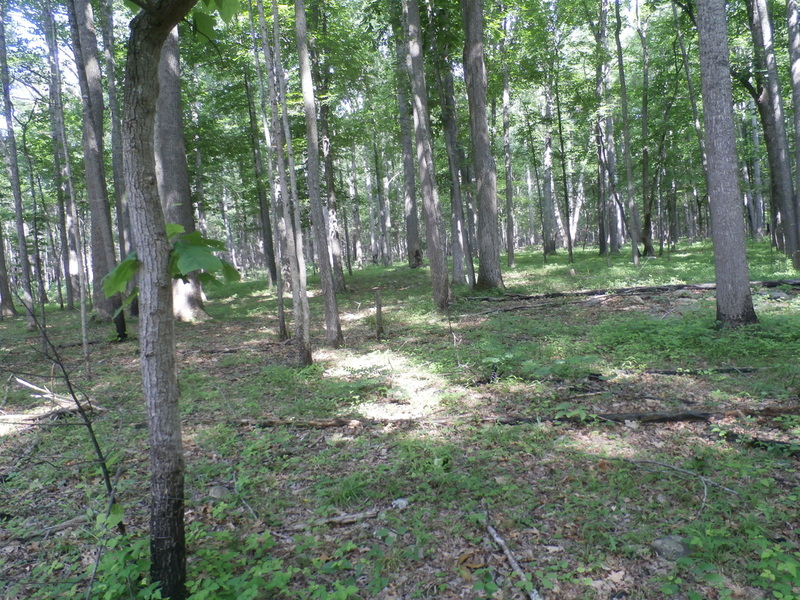 There are several smaller unnamed trail within the wilderness boundary. These are easy leg stretchers that follow old roads along Barbours Creek. The Pines Campground is located at near the trailhead for Lipes Branch Trail.